Senior Zoe Meade enters her final season with the NM State track and field team in 2013-14. Meade has spent her career competing in Las Cruces and went to Las Cruces and Onate high schools. During high school, she competed in the pentathlon at the Nike Indoor Track Meet, finishing in the top 10, and also competed in track and basketball in the Amateur Athletic Union during the summers. “I was finishing pretty high up, like in the top 10, and then I realized I could probably go to school for that,” she said. This is Meade’s 11th year competing in track and she has been a multi-event athlete since she was 10-years old. “When I started, they had a little kid version of the multi-events and I tried it and have been doing it ever since then,” she said. Throughout Meade’s career she says her parents, David Meade and Debbie Swansburg, have always supported her and are in attendance at her major competitions. She also credits former NM State track and field assistant coach Scott Fister for being an influential person in her track and field career. Meade had choices when considering universities to attend, but chose NM State because it would help her reach her long-term goals. “My head coach at NM State (Orin Richburg) worked with the Olympic relay team, and that’s where I want to end up, so this was the best place for me,” said said. 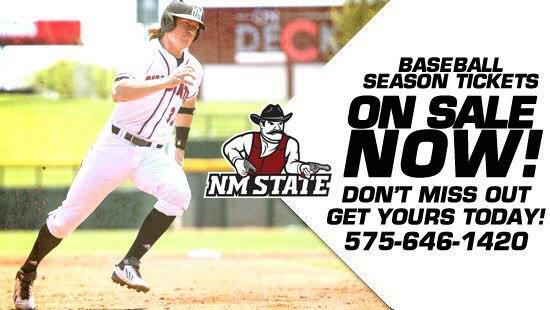 Meade has improved every season at NM State and has competed in multiple events since her freshman season. She set two new all-time records for the Aggies in the 2012-13 season in the pentathlon and the heptathlon. As she enters her senior season at NM State, Meade is full of confidence for her final season. Meade won the indoor pentathlon at the 2013 WAC Indoor Track and Field Championships (Feb. 21), while setting the new Aggie record for most points earned. Meade also wants to excel because she is a local athlete and is happy that she decided to continue her career in Las Cruces. “It means a lot to stay here because growing up a lot of my friends didn’t think that they could make it in athletics at the college level,” she said. Meade wants kids to see what she has achieved athletically and also wants to show the community what can be achieved. Original Article at NMSU New Center.